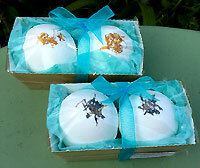 Our lovely little bath bombs come in an assortment of shapes, sizes and fragrances, so there's something for everyone. 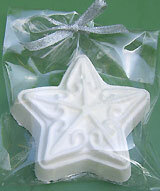 Can be used in the bath, base of the shower or footbath to fragrance and soften the water. To view which oils are in each blend, please click here. 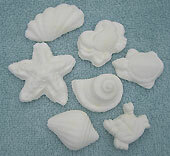 Selection of seven Seaside and Marine life Bath Bombs in a range of fragrances with Essential and or Fragrance oils or choose your own custom blend. 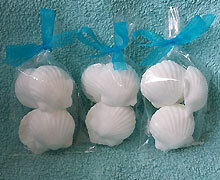 5 sweet little bath bomb shells in a cellophane bag tied with ribbon. Each measures approx. 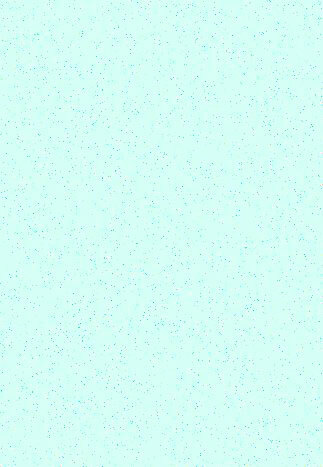 3.5cm diameter, 1.40 inches. Overall weight 55gm. 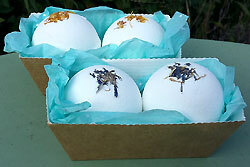 Handmade Bath Bombs with Essential oils and dried flower decoration. These measure approx 5cm/2 ins diameter and weigh between 55-60gm each. Choose from the list of fragrances, but if you'd like 2 different scents, click on choose 2 and leave a note which fragrances you would like. 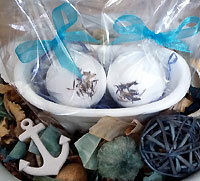 Cute miniature bath tub with 2 Bath Bombs. 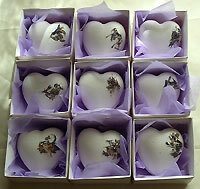 Choose from Round or Heart shaped, or one of each. 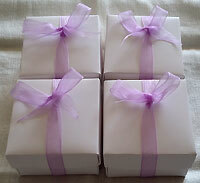 There's a large range of fragrances with Essential oils and/or Fragrance oils, if you would like 2 different fragrances, choose the Pick 2 option and leave a little note with your order which fragrances you would like included. 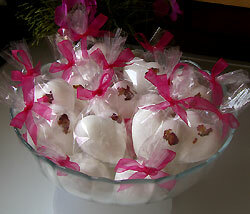 The Bath bombs are decorated with petals and leaves. 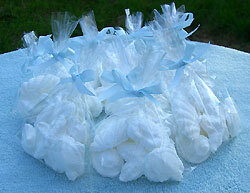 Bath heart in individual bags tied with ribbon. 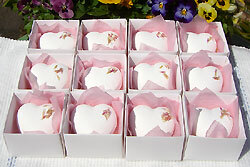 Approx weight 50gm. Measures 5cm/2 ins at widest point. 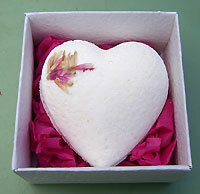 Bath heart in matt white box with separate lid. 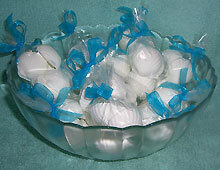 Approx weight 50gm, measures 5cm/2 ins at widest point.